Jacksonville burglary charges include some sort of breaking and entering. Jacksonville burglary is a felony. The degree of felony will increase the severity of punishment. There are different factors involved. To fully understand Florida’s burglary laws, read Florida Statute Section 810.02. Here is a generalization of the burglary laws. If you are charged with burglarizing a structure or conveyance, this is a third degree felony. Most Jacksonville criminal defense attorneys represent people charged with stealing from cars or other vehicles as third-degree felony burglaries. I have also defended people charged with breaking into stores or gas stations. Those Jacksonville burglaries were third degree felonies as well. 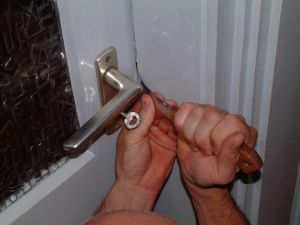 It is a higher crime if you are accused of breaking into a house or residence. This is known as Jacksonville burglary to a dwelling. Burglary to a dwelling is a second-degree felony if the dwelling is unoccupied. If the home is occupied, this is a first-degree felony. As a criminal lawyer in Jacksonville, I have experienced that most burglaries have some sort of theft associated with the crimes. For example, a Jacksonville juvenile breaks into a car and steals a telephone. He will be charged with burglary, not theft. If he stole the phone from a classmate at school, this could be petty theft or grand theft, depending on the value of the telephone. If the juvenile sells that phone, he could also be arrested for Jacksonville dealing in stolen property. Jacksonville robbery charges involve some kind of force. Florida Statute 812.13 covers Jacksonville robbery laws. Florida Statute 812.131 is used for robbery by sudden snatching. In most Jacksonville robbery cases, a person snatches or uses a weapon to take money or property from another person. If a gun is used when committing the robbery, this is a Florida 10-20-Life case and can lead to mandatory prison time if convicted. Read “Jacksonville Gun Lawyers and Felons with Firearms Face New Florida Law” for information about Florida minimum mandatory firearm’s laws. If you have been arrested for robbery, theft, or burglary, talk to a Jacksonville criminal defense attorney. Call 20 Miles Law at (904) 564-2525 for help from a lawyer in Jacksonville or send an email.